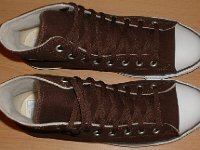 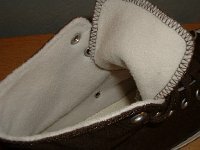 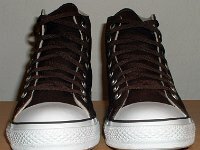 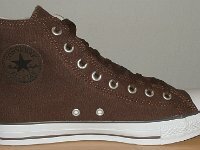 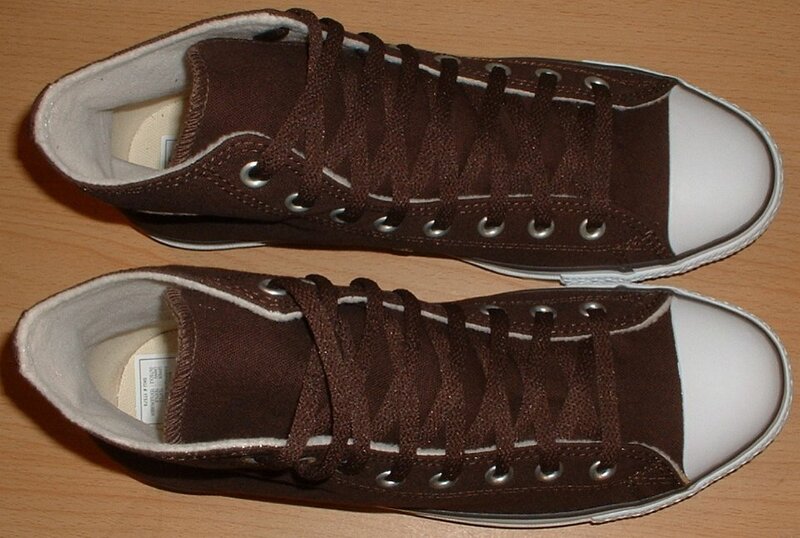 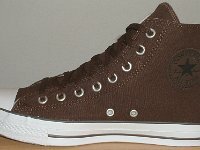 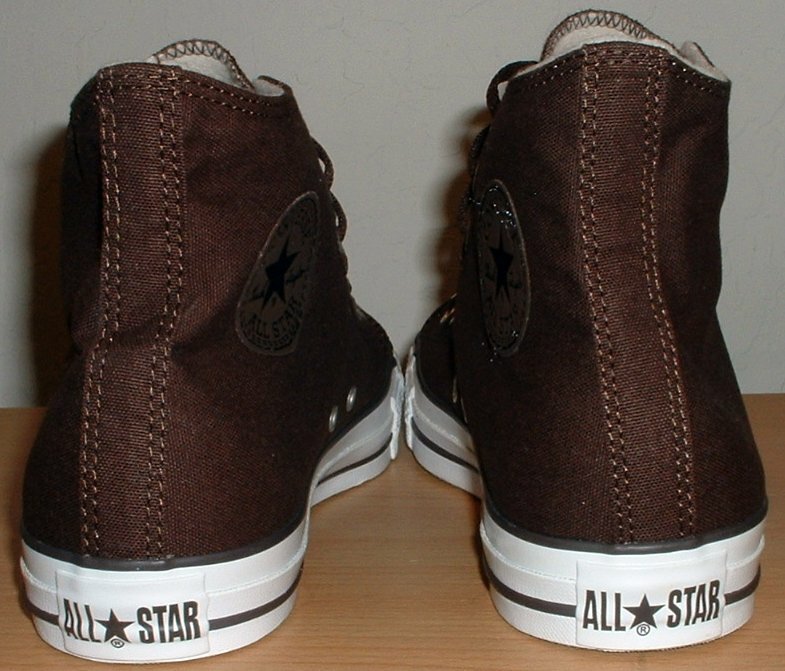 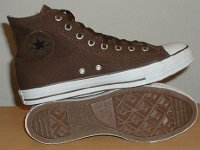 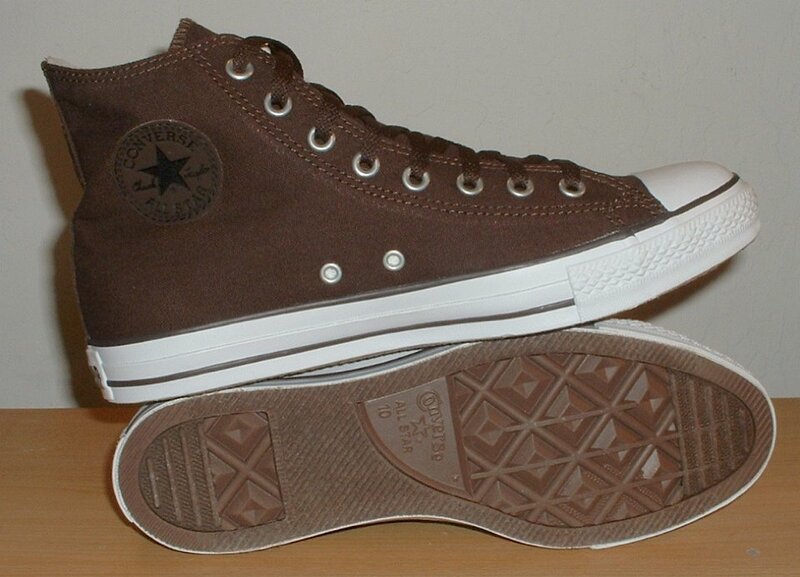 Photo gallery of chocolate brown and parchment fleece high top chucks. 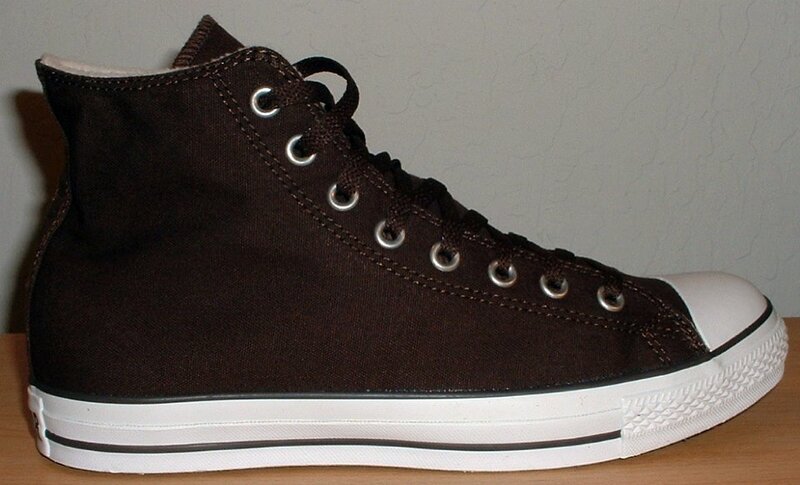 1 Chocolate and Parchment Fleece High Top Chucks Right brown and parchment fleece high top, inside patch view. 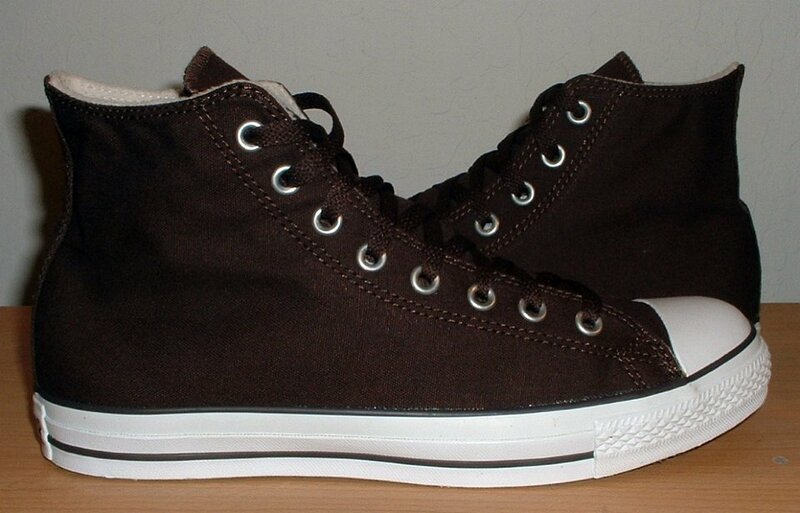 2 Chocolate and Parchment Fleece High Top Chucks Right brown and parchment fleece high top, outside view. 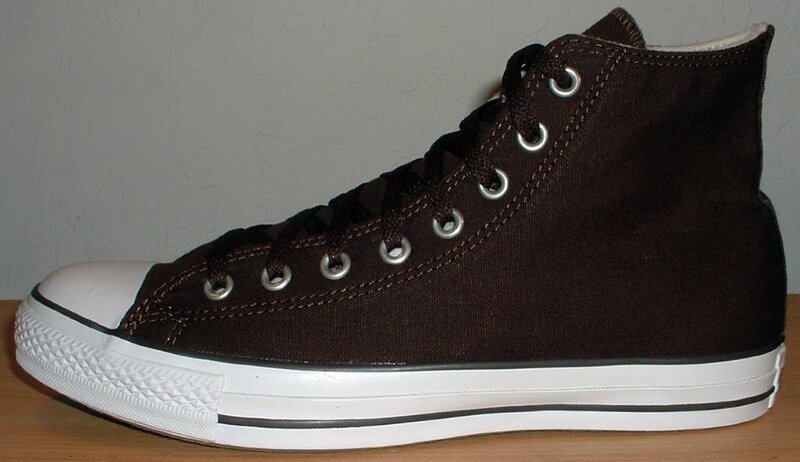 3 Chocolate and Parchment Fleece High Top Chucks Left brown and parchment fleece high top, inside patch view. 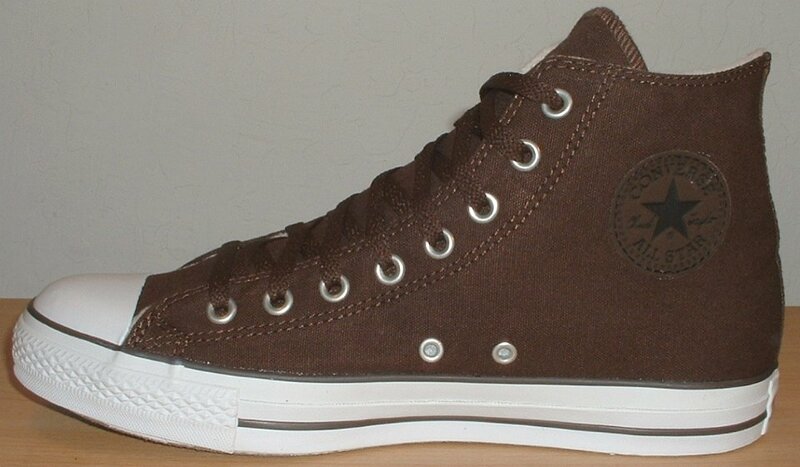 4 Chocolate and Parchment Fleece High Top Chucks Right brown and parchment fleece high top, outside view. 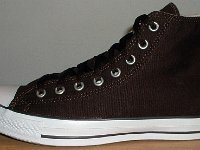 5 Chocolate and Parchment Fleece High Top Chucks Brown and parchment fleece high tops, rear view. 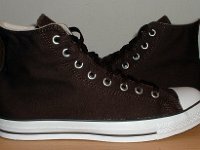 6 Chocolate and Parchment Fleece High Top Chucks Brown and parchment fleece high tops, front view. 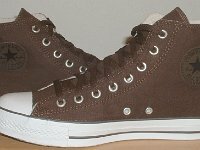 7 Chocolate and Parchment Fleece High Top Chucks Brown and parchment fleece high tops, top view. 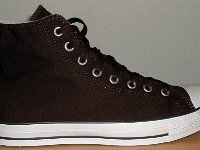 8 Chocolate and Parchment Fleece High Top Chucks Outside views of chocolate and parrchment fleece high tops. 9 Chocolate and Parchment Fleece High Top Chucks Closeup of the fleece interior of chocolate and parchment high tops. 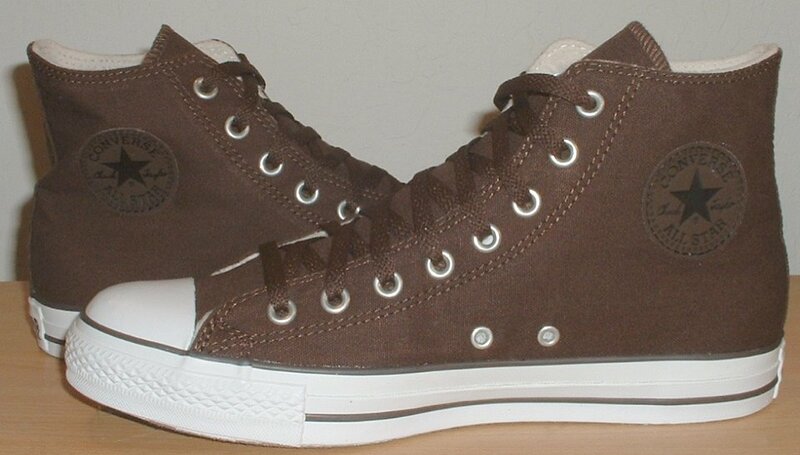 10 Chocolate and Parchment Fleece High Top Chucks Inside patch and outer sole views of chocolate brown and parchment fleece high tops. 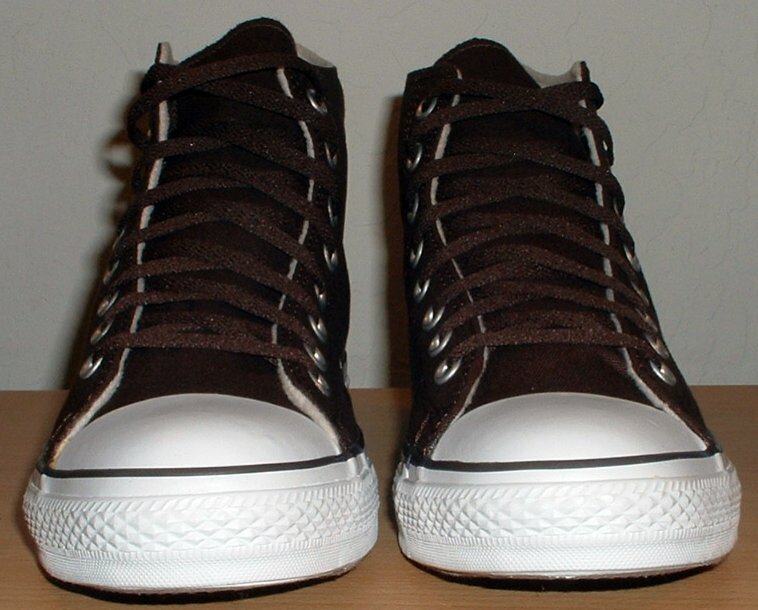 11 Chocolate and Parchment Fleece High Top Chucks Brown and parchment fleece high tops, inside patch views. 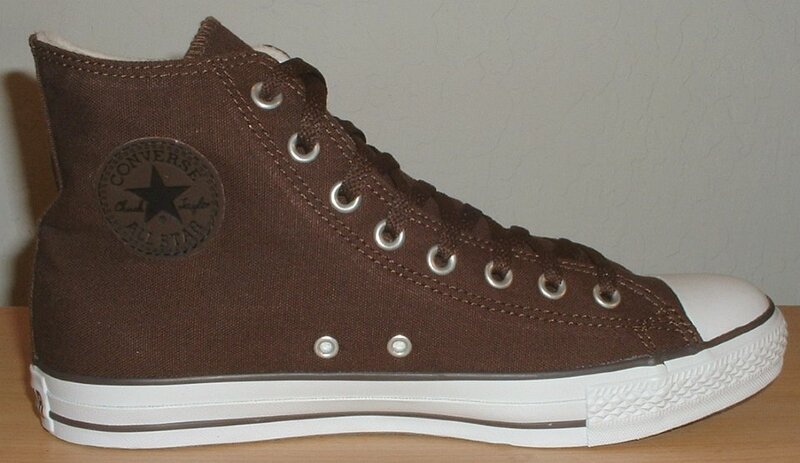 Perfect for colder climates, these chocolate brown high tops have a fleece interior and parchment outer wrap. 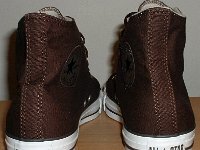 The ankle patch is brown with black lettering and the shoes come with brown laces.